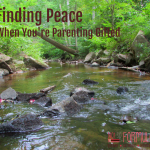 Parenting a gifted, highly sensitive child is a challenge under the best of circumstances. After the loss of a pet or a loved one, our role becomes even more difficult. Yesterday morning we had two bunnies. Today, we have only one. Our dear sweet old man, Ted, passed away unexpectedly but peacefully in my husband’s arms at about 5:30 PM. Ted was 13.5 – roughly 130 in human years. We had adopted him, his brother, Eliot, and his mother, Viola, from a rescue organization before the kids were born. Viola died five years ago; Eliot’s munching hay right now. It’s hard to look in their bed and see only one set of velveteen ears in the early morning darkness. It will be even harder when the kids get up. 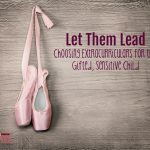 Sensitivities are a hallmark of life with a gifted child. They tend to be “more” – more active, more curious, more sensitive – more aware of the world around them and their place in it. Polish psychologist Kazmierz Dabrowski referred to these characteristics as Overexcitabilities, “the five areas in which gifted children exhibit intense behaviors.” As a natural part of a gifted child’s temperamental make-up, overexcitabilities can make grief particularly difficult to navigate. They require a great deal of support in their efforts to cope with the grieving process, as the different stages of grief (Elizabeth Kubler Ross’s denial, anger, bargaining, depression, and acceptance) are less likely to occur in a linear, chronological fashion. Gifted children may initially leap forward to acceptance, only to slide back to anger, bargaining, or depression months after the event has passed. I saw this clearly in my own children yesterday. My seven year old processed the loss with ferocity, dissolving in a heap of heartfelt wailing before bouncing out the door to play with friends. Her older sister, 10, held back tears over the pages of Rabbits for Dummies, ticking through the possible memorial options and choosing one before going out for a bike ride. It seemed like both girls had reached a sort of peace with the loss, and I was grateful. Later that evening, however, after I had put the two-year-old down for bed, both girls found their way into bed with me and my husband. The seven-year-old buried her head in my armpit, moaning softly over her “misguided” excitement for a possible new pet. The 10-year-old lay at our feet, silent tears accompanying a host of extemporaneous elegies about elderly, dying rabbits. Bedtime was delayed for quite a bit, but honestly, I didn’t push it. I recognized the depth of their emotions and the awkward fits and starts of grief, identifying them with my own experiences after the death of my father. True, our bunny Ted was “just” an animal. But to my children (and, quite honestly, to me and my husband as well), he was a member of the family. His loss was a devastating blow. 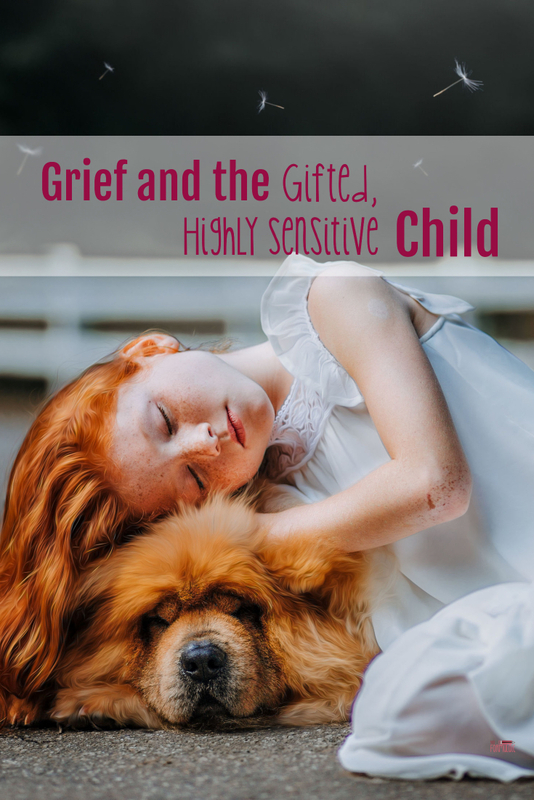 Because grief can manifest so intensely and sporadically, it is important to develop a variety of coping strategies for emotionally sensitive, gifted children when they are faced with the death of a pet or loved one. Initially, moving through grief is like wading through chest-deep water. It is a slow, laborious process taken one step at a time. 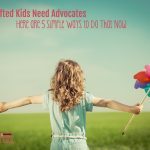 At this stage, it is important to help your child with the process of living – eating, drinking, sleeping, any aspect of self-care which might be difficult in their grief. Kay suggests comforts such as warm blankets, good scents, soft music, anything that might help ease the initial blow and make the daily efforts of life less taxing. As Kay says, some children are internal processors who prefer to process grief within. Other children will want to process their grief externally, discussing their feelings with a trusted adult or peer. Determining a child’s preferred method of grieving will prevent additional stressors and aid the process, whether they prefer to do so in silence or with others. Grief can be a lonely process. Fortunately, there is a wealth of quality children’s literature which focuses on grief and loss. Kay recommends Compassion Books; Hoagies’ Gifted provides a curated list of titles here. Encourage your child to gather memories of your lost pet in a journal. Offer your child time to write, draw, and create as a way to work through the grief and pain. Kay discourages parents from reading the journal but encourages journaling alongside in their own capacity to provide both a private space for mourning and a sense of belonging. 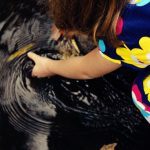 Grief takes time, and as Kay says, highly sensitive children can be brought back to the fullness of it through photographs, conversations, sights, smells, and sounds. Allow your children the time they need to process the loss they are feeling. React with empathy and understanding, avoiding strong reactions as often as possible. 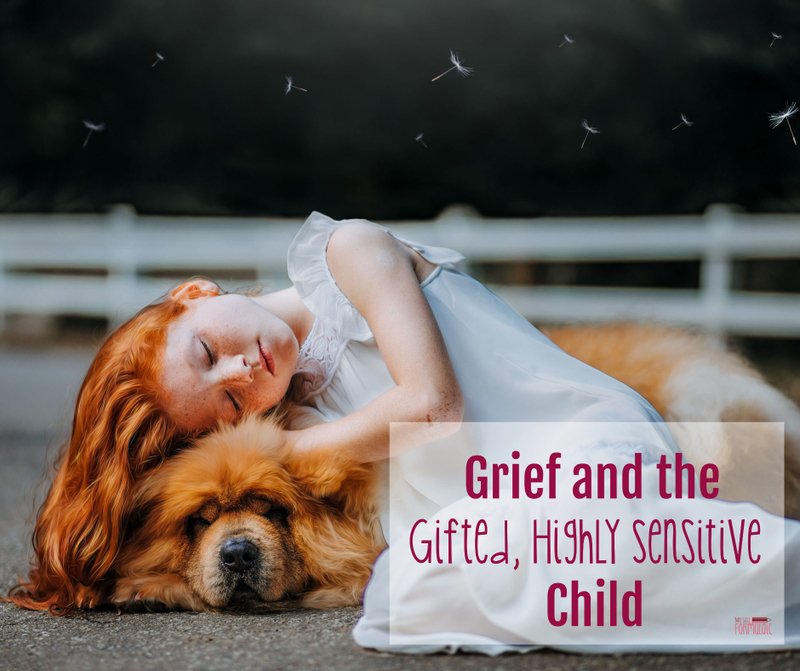 Helping a sensitive, gifted child grieve can be tasking, especially when you yourself are grieving, too. I miss our bunny Ted just as deeply as our children do, and I am working through my emotions right alongside them. Truthfully, yesterday morning our world looked very different. Today we have one less heart beating under our roof, and we will honor it with joy and love. Great insights! Grieving kids are hard in any circumstances, so I can only imagine the added layer of challenges with a highly sensitive child. Thanks for sharing this. Well-written article, and fantastic tips! 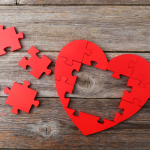 I will say, having worked with some children and teenagers dealing with grief and loss, this post is suitable for all children – even those without giftedness. 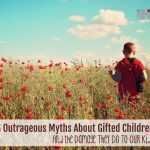 That said, as parents of children with giftedness (because I can’t think of a better word right now), I would caution to be sympathetic and remember the points about gifted children being “more” and feeling “more.” The grief may be more intense for them, but it doesn’t minimize the grief for non-gifted kids, either – gifted children may just have other ways of expressing the grief!